This is not your grandparents’ real estate market – nor is it their marketing plan. Today selling a home practically mandates the use of social media, so it pays to know how to use it wisely. We’ve gathered a few tips for you to do just that. Social media has many different levels, but one of its major advantages is the ability to put information out into the world with the simple click of a button. If cat videos can go viral, so can the sale of your home, making it far easier to get this done and move on with your life. Here are a few ideas for your consideration. Pictures. More than a thousand words, these speak volumes online. Don’t skimp on hiring a great photographer, either. Dark and dim images are unlikely to sell your home. If you are planning to do it yourself, learn how to take photos to sell your house professionally. Video. Sometimes pictures just don’t do it. Enter video, which truly adds a new dimension to your social media efforts. Full video tours are some of the most economically efficient ways to show off your home to the most people for the least amount of cash. Facebook Live. Your agent has the ability at their fingertips to turn any open house into a live event. Done properly, this can have a great effect on prospective buyers, who will then hopefully turn into serious candidates for purchase. Multiple offers were received on the couple’s home within a matter of days. In addition, Forbes reports, they also got a full-price offer and closed within 30 days. Also, don’t post a link to your MLS listing on your main post – Facebook will weight it lower in rankings as they want users to remain on their page, not navigate away to another site. Instead, pique potential buyers’ interests by posting an image, then place the actual listing link in the comments. By doing this, you’ll be amazed at how much more online traffic you’ll gain as opposed to posting the link directly onto Facebook itself. 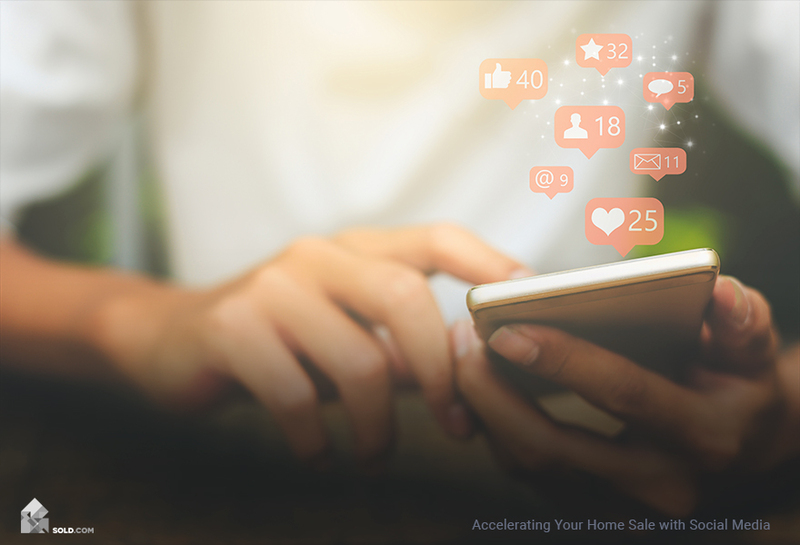 Remember, social media is still evolving, so it’s just about certain that the future will bring new ways to use this medium in order to market and sell your home. Keep your eye on Sold.com as we continue to bring you new developments.